When I wrote Aquarium Corals, I was beginning to read some papers that suggested that stony corals, like soft corals, might produce their fair share of secondary metabolites. By this, I mean that while early investigators either failed to look for – or failed to find – bioactive chemicals in stony corals, some recent investigations indicated that they are indeed present. It had been largely assumed that, because stony corals had a protective skeleton, that they had little need for protective chemicals. In contrast, soft corals, sponges, and other soft bodied invertebrates were studied extensively and found, as would be expected of sessile animals, that a copeia of bioactive compounds were produced and stored or released by them for a multiplicity of roles. Among these were allelopathic chemicals used in defense, space competition, and as anti-predation substances. Additional roles were discovered including roles in protecting eggs, cueingsettlement, attracting sperm, and others. As massive numbers of novel compounds were found in these taxa, stony corals remained largely ignored. I was able to find some direct and indirect references to the production of these metabolites in stony corals, and one of the most direct involved a “toxic exudate” from Gonioporatenuidens (Gunthorpe and Cameron 1990a). Whether forgetting to retrieve them, or not noticing the other references in that paper, I wrongfully assumed this was all that had been written on the subject. 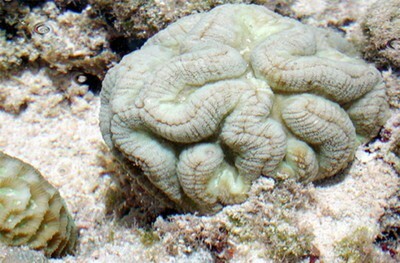 It was not until doing a literature search for the toxic effects of metals on stony corals for a discussion between Ron Shimek, Randy Holmes- Farley, and others (http://www.reefcentral.com/vbulletin/showthread.php?s=ef6 e4e6f80f5ab895950901faef0ed84&threadid=100591) that I stumbled across another paper. This time, I was observant enough to notice that not a few, but many other articles had been written on the subject. Interestingly, and perhaps among the reasons Ihad not found these papers before, was that the majority of them were to be found in the medical literature. Soon, I found myself completely stunned at what I had learned, for little of this is new to science. It is however, new to me, and I believe will be new to most. In the Gunthorpe and Cameron (1990a) paper, it was found that a “range of bioactivity, as aqueous extracts from Australian specimens displayed consistent toxicity to mice and cytolytic activity, while exhibiting interspecific variation in antibiotic activity and ichthyotoxicity.” An investigation was done to determine the effect of alellochemicals previously described (Gunthorpe and Cameron 1990b) as being toxic to scleractinians; in this study, the effects of G. tenuidens towards Galaxeafascicularis. Individual polyps of Galaxea were placed in aerated seawater with 3-4 cm portions of G. tenuidens and examined after 0, 12, and 24 hours (called “conditioned seawater). They were then transferred to another tank with flowing seawater and observed. “Conditioned seawater was determined to be toxic to a test species when all corals of that species showed signs of intoxication.” It was found that conditioned seawater of 8 of 10Goniopora colonies was toxic to at least one of the test species, and the signs of intoxication were consistent in all cases. Goniopora exudate was lethal to Galaxeafascicularis, inducing sustained polyp contraction, increased mucus production, loss of tissue coloration, and loss of tissue from the skeletal matrix. No Goniopora exudate was lethal to other Goniopora. Sub- lethal signs included polyp contraction and increased mucus production reversed after a half hour exposure to fresh seawater. The fact that Goniopora species could cause such a reaction and death in the strongly aggressive Galaxea within one day is remarkable. It is, however, only the beginning. This experiment utilized several toxicity assays. In the first, mouse toxicity was determined by effects of coral extracts in producing loss of physical responses, lethargy, reduced body temperature, diarrhea, and death by respiratory paralysis (with the heart still beating post-mortem). They found at least one extract from 93% of the species examined was toxic to at least one test species. Results showed that 38% of 274 colonies assayed were toxic to mice (at least one colony of 41 species). The most toxic was Favites abdita and the least toxic was Leptoriaphrygia. The extracts were found to be slow acting toxins, although there was a range; Pavonadecussata induced death to mice in 1.3+/- 0.4 hours and Gonioporatenuidens induced death within 45 minutes. Extracts of 71% of the toxic colonies caused death within 24 hours, 28% within 6 hours. The amounts of extract provided by injection to mice were 0.5 ml of anextract prepared from the tissue digest of samples or small colonies in 100 ml of water. For example, a single Fungia would produce enough toxin to kill 200 mice within 24 hours – and Fungia was not nearly the most toxic coral in this study! The second toxicity assay was done by determining ichthyotoxicity to the mosquitofish, Gambusia affinis, by placing the fish in 70 ml of water with 500 mg/l concentrations of the extracts. Only four species (_Seriatopora hystrix, Acropora cuneata, Goniopora tenuidens_, and Pavonadecussata) were toxic to the mosquitofish. Signs of toxicity included hypoactivity, ataxia, and reduced visual response to stimuli. An even earlier study found aqueous extracts from Goniopora gracilis, G. tenuidens, G. planulata, Cyphastrea chalcidicum, Pavona ebtusata and_ an Acropora_ sp. were toxic to mice (Hashimoto and Ashida 1973). A later study by Kaul et al. (1977) found substances pharmacologically active on mammalian cardiovascular, motor, and CNS systems to be produced by Acropora cervicornis, A. paniculata, A. palmata, Fungia fungites, Goniastrea retiformis and_ Montipora marshallensis_. Grozinger (1983) found a biologically active compound in Madracismirabilis that is also found in nudibranchs and sponges. Stony corals can also inhibit growth of marine algae (De Ruyter van Steveninck 1988). Finally, Sheppard (1979) concluded that non-contact necrosis between nearby stony coral colonies resulted from allelopathic chemicals produced by the stony corals. The Goniopora spp. in the author’s tank is an unusual long-term survivor, having been acquired from another aquarist’s tank where it had survived for several years. However, the genus is known to produce strong allelopathic substances that can negatively affect other corals, fish, invertebrates and even aquarists. Fearon and Cameron (1997) later produced a study where five species of stony corals (_Platygyra daedaelea, Gonaistrea favulus, Favia matthai, Pavona decussata, and Fungia fungites_) were collected, and extracts tested for their effects on the gametes and planulae of G. favulus, P. daedaelea, P. decussata, Oxypora lacera, and_ Pocillopora damicornis_. They were testing to see if extracts were able to inhibit settlement of other coral larvae. They found that the extracts of all five species were lethal to larvae of at least two species at one or more of the concentrations of 62.5, 125, and 250 mg/l. Larvae were found to change their shapes, shrink, cease swimming, and eventually die. Between this study and others (Fearon and Cameron 1996, Koh 1995), larvotoxins produced by stony corals can be summarized below (Table 3). Even though it is now recognized how potently toxic Goniopora tenuidens is, its activity against coral larvae was less than some of thespecies studied here. With regard to Goniopora toxin, the chemical is a polypeptide toxin (19,000MW) that is a voltage dependent Ca2+ channel activator, and is highly active at the 5mM level (Qar et al. 1986). It is found in varying amounts in all Goniopora examined to date, and its levels seem to vary temporally and according to external or environmental factors (as is the case with the secondary metabolites of most marine organisms). In the study mentioned above, 95g of Goniopora tissue was sufficient to conduct a large number of tests on a variety or tissues and organisms, including lethal dose assays on mammals. 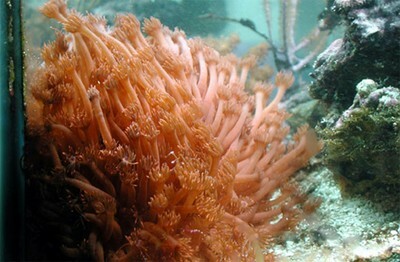 During work for an unpublished thesis by Meredith Peach, she remarked that simply working with Gonioporatenuidens in her studies on feeding ecology produced a reaction on her skin severe enough that she had to wear gloves during contact with the corals or even the water of aquariums housing them (Peach pers. comm.). Many other studies involvingthe effects of Goniopora toxin on physiological and biochemical processes are listed in the references at the end of this article. At this point, it should be quite apparent that no longer can we assume that toxicity effects in closed systems are only by certain commonly maintained organisms like soft corals. The fact that the aqueous extracts of stony corals causes polyp contraction, bleaching and tissue loss in other stony corals within 24 hours, and that merely putting Galaxea in a tank with Goniopora can cause it to die within hours should put us at a new state of awareness and alert. As with soft corals, it may be difficult to say with certainty that coral species x will have a particular effect on coral species y. As with other organisms, variability in both production and effects on other species seems to be the norm. However, and as I have stated frequently, it becomes a matter of risk assessment. Soft corals known to be prolific producers of toxins, or those known to have certain effects on certain species, should be maintained in aquariums with careful consideration of the potentialconsequences. 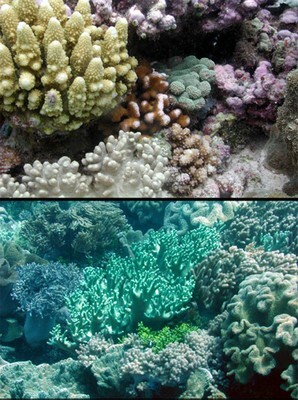 It appears the same is true for stony corals. In particular, Goniopora is well recognized to produce toxins that are wide-ranging and consistent in their effects on vertebrates and invertebrates. Perhaps this is fortunate news, given the fact that they survive so poorly in aquariums (Borneman 1997, Toonen 2001). Perhaps our search for the methods to keep these corals alive should be ameliorated or ended in light of their obvious toxic potency. Even more, the continued death of these corals in tanks will certainly result in the release of the total amount of toxins in the tissue throughout the tank. Given the fact that a single colony possesses enough toxins to kill hundreds of mice, this is no small matter of concern for those who purchase these animals in unlikely hopes of having such beautiful corals survive in their tank. Equally as disturbing are the number of other stony corals that may have similar, equal, or even more potent toxicity across variousassays. Not that this is really any great surprise to me, although seeing it all spelled out in the aforementioned studies was impressive. I noted in numerous places in Aquarium Corals (2001) where I had observed what seemed to be allelopathic effects by stony corals in my own aquariums – notable Echinophyllia, Oxypora, and Pachyseris species. Similarly, reports of aquarists over the years would lend further support of such effects in closed systems. Like him, I think most of us with long-term corals in our tanks might wonder about allelopathic effects, and if they are significant. I would add that, while many of us may have dense coral growth and may have many relatively “old” specimens in our tanks, I feel safe saying this same period has been punctuated by many losses, some of them without obvious explanation. What follows is largely speculative on my part in terms of aquarium topics, but also based on a fairly thorough review of literature on natural products, wastewater treatment, and studies of allelopathy in both terrestrial and aquatic environments. With that, I would like to further explain the nature of many of these metabolites across taxa, not solely those of stony corals. A single species may have from a few to over a hundred chemicals it produces, some or many of which may have intentional or incidental allelopathic actions. In some studies, there is always damage of species x on species y. In some case, damaging effects may also occur on species a and species c, but never on species b. Thus, their action on tank inhabitants may not be predictable, much less known for certain as relatively few of these compounds have been tested extensively for their action on all but a handful of other species. It is not a requirement that the producer has effects on related species, either. By example, a coral metabolite might have an effect on echinoderms, but has never been reported. By and large, compounds produced by organisms to have an allelopathic role tend to be geared towards organisms that compete with the producer, and thismeans that related species are often the target – but not always. Furthermore, in the scope of marine organisms, very few compounds have even been isolated. Because a species is known to produce a compound does not mean it doesn’t produce a dozen others that have not been isolated or identified. Not all chemicals produces are released, and some are stored in the tissues of organisms. In these cases, the toxic effects may not be seen until partial or total mortality of the organism occurs. This is perhaps well illustrated with sexual spawning in _ Caulerpa_ or some corals when spawning results in massive tank mortality. Allelopathy is, for lack of a better phrase, a “grab bag” of chance in most situations. In the interest of explaining why tank inhabitants don’t keel over on a regular basis from allelopathic organisms present in aquariums, it may be that environmental conditions, including our deliberate avoidance of predators of specimens we keep in tanks, or the stability of some systems, limits their production. Also likely is a habituation response, whereby either a tolerance to various compounds develops among the other inhabitants, or where the producer habituates to the presence of its co-inhabitants and no longer senses them as an immediate “threat.” I am postulating here, for I do not know for certain what happens in all the potential interactions, but am basing these thoughts on likely scenarios that also occur in nature. It may also be possible that we are doing an adequate job of removing secondary metabolites from the water. Many of the more toxic compounds studied across terrestrial and marine systems occur in the polar aqueous fractions of extracted tissues. This is not to say that nonpolar compounds with deleterious effects do not exist, but that the majority seems to be polar. As such, they may be more likely to be removed by foam fractionation. In reading literature dealing with allelopathy in both terrestrial and marine systems, as well as copious literature and material from the wastewater industry, it appears that a number of media sources can be employed to remove secondary metabolites. The most commonly employed in scientific methods seems to be activated carbon. While wastewater industry uses activated carbon, they also employ activated clays such as bentonite. Papers in the natural products literature tend to use more sophisticated devices, but the equivalent of deionizationcartridges may be useful. In other words, it might work to pump water through various resins if they could be designed to benefit tanks. I am also aware of polymers that selectively absorb compounds, and the aquarium product PolyFilter relies on this technology. The polymers are not specifically designed primarily for these chemicals, but rather those more commonly associated with tank water chemistry issues. However, filters for classes of chemicals could probably be designed and tests of PolyFilters seem to indicate that absorption of similar organics is possible by the products. Obviously, water changes would also be effective in removing levels of metabolites in proportion to the volume of water exchanged. This is probably the simplest, easiest and perhaps most effective way of dealing with such bioactive substances. There is no reason to suspect that allelopathy, and the simultaneous production of many other compounds that may have other effects, is not occurring in our tanks. Various effects may result, from reactions by other organisms that range from acute toxicity, to a general “failure to thrive,” to no visible effects (even though there may be very significant effects that are simply not visible to the aquarist, such as changes in respiration or photosynthesis rates). There may also be cumulative effects, with low levels produced increasing over time so that levels that initially had no effects begin being expressed over time on various organisms, perhaps in various ways. Such a progressive increase of metabolite concentrations could help explain the “old tank syndrome” Siegel mentioned in his articles, and although there are a host of other potential explanations, the signs are consistent with what one would expect from allelopathy. Finally, allelopathy may likely be a part of thereason for relatively low levels of sexual reproduction occurring in our aquariums, especially among corals. Once again, I have no reason to suspect that this is THE reason, but studies would suggest it is at least possible if not probable. The number of observations by the reef aquarium community provides substantial anecdotal evidence of such events occurring, but unfortunately only become noticed when conditions in the tank are quite dramatically affected. It is my purpose here not to create widespread panic, or complacency, but to make the aquarium community aware of the widespread occurrence of marine organisms producing scores of bioactive compounds, and to briefly describe the possible effects they produce. In summary, it is my belief that our aquariums are under potentially significant influence by such compounds, and further examination of the effectiveness of methods that mitigate their effects should be a priority. Grozinger K, Freter K, Farina r, Gladczuk A (1983) Synthesis of 7- and 9-substituted l-methylisoguanines from 4(5)-amino-5(4)-cyanoimidazole. Eur J Med Chem – Chim Ther 18: 221-226. Gunthorpe L, Cameron AM (1990a) Toxic exudate from the hard coral Gonioporatenuidens. Toxicon 28(11): 1347-1350.